– Disconnect / Reconnect of Point of Attachments and network mains. – Point Of Attachment repairs and upgrades. – Private network maintenance and installation. – Rectification of low service mains. Power Poles, Private Pillars and Point of Attachment – Installations, Inspections and Repairs. Macquarie Power connects power to all areas of NSW. Specialising in Power Pole installation and erections to all areas of the Newcastle, Hunter Region and Lake Macquarie. Competitive pricing and our experience allows us to finish your electrical job on time and within budget. We have a consistently high level of satisfaction from our clients through communication and understanding their needs. Have you lost power to your house or business? This can be due to a number of reasons, but if your house is the only house in the street without power you’ve probably blown a service fuse. The service fuse is generally mounted under the eaves called the point of attachment where the cables meet your house. 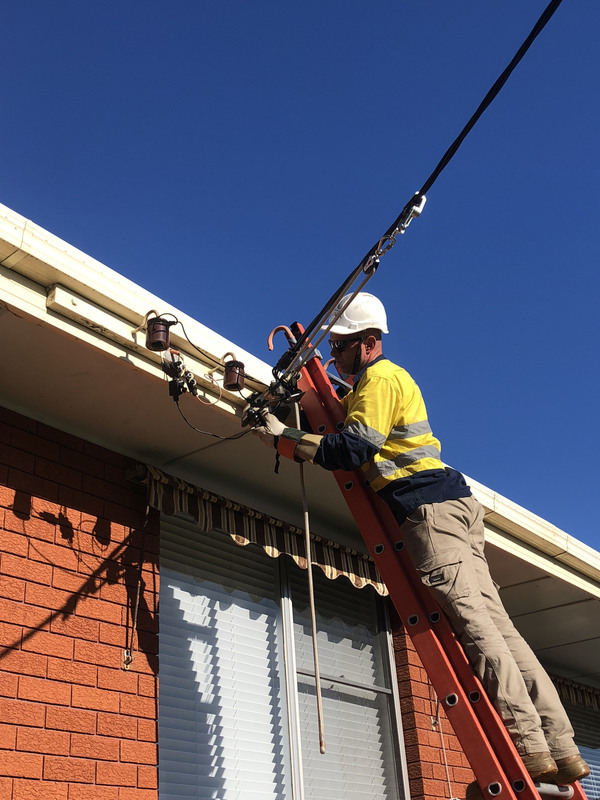 The main purpose of the service fuse is to protect the neighbouring properties and Ausgrid’s cables from an electrical fault in your properties. Generally, just a replacement fuse can be fitted and the problem is rectified. Setting up Temporary power/building power boards and services is one of our specialties. 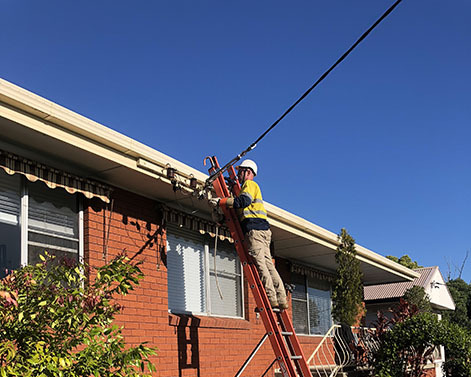 Mac power will get your services connected quickly and safely so your builders and other tradies can get on the job quickly. Whether you require standard connections or temp power box in an area with existing underground power or overhead we will get you connected to the grid. Give us a call on 0402 204 662 and we will get your power connected ASAP. Macquarie Power Electricians level 2 accredited in the Newcastle area.. The P.O.A is the place where the network meets your house or property. this can be in a variety of places. It can be at your power board, top of a private pole or Pillar a fascia board even connected to your roof through some structure. 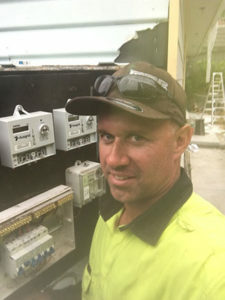 You will require a licenced level 2 Electrician to perform the disconnect work. The disconnect may be required for upgrades to existing switchboards, services and equipment. To renew Private power poles and bracketing. It may even be a consumer mains issue that requires an electrical connect reconnect to be performed. 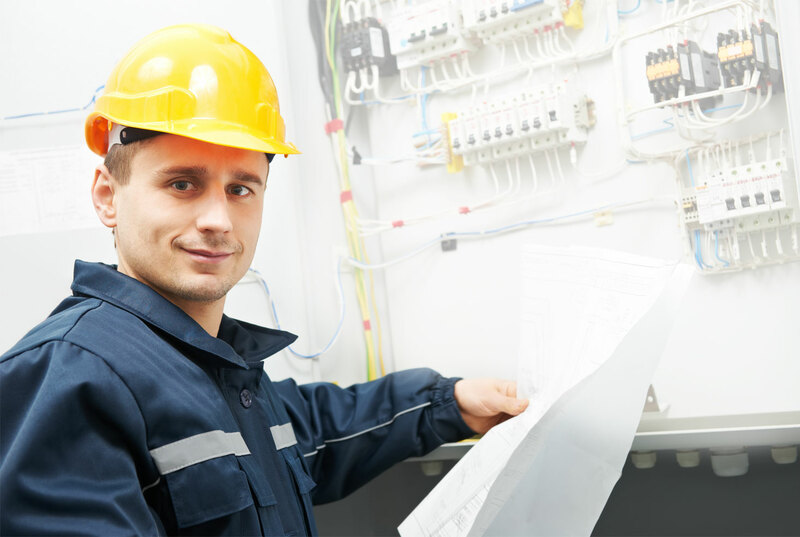 All our Electricians are Level 2 qualified so you know you are in safe hands with Macquarie Power. Macquarie Power is current on all requirements for Level 2 electrical work in NSW working on sites in the Hunter, Newcastle and Central Coast Regions. 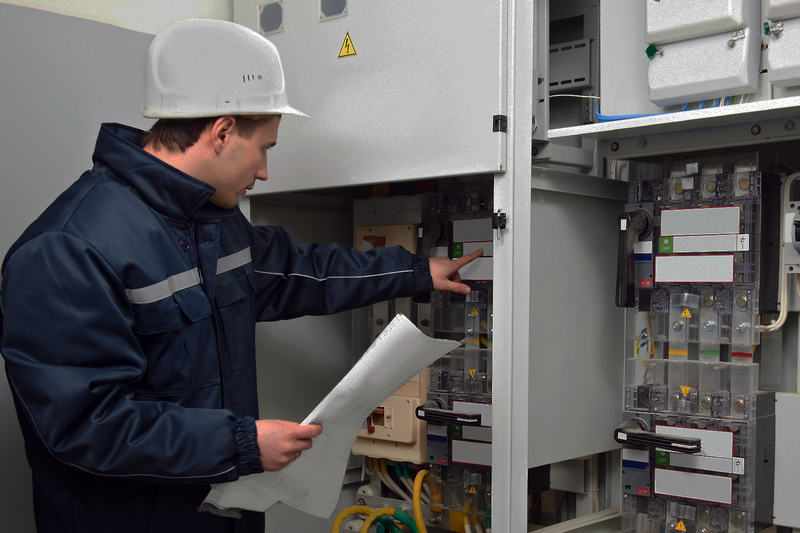 Level 2 ASP Electrician – Why Do I Need One? If you’re a developer or building your dream home, or in need of emergency level 2 electrical restorations such as service fuse replacements, Point of attachment failures, private power pole/fascia repairs and/or upgrades you’re going to require the services of an authorised Level 2 ASP Electrical Contractor to connect or disconnect the underground or overhead wires that join you to the main electric network or grid. Meters installed in new premises require authorised accredited electricians to perform the task of connecting to the main supply. Any roadworks or earthworks that are being performed on or near overhead or underground services will most likely require disconnecting and reconnecting for your and your workers’ safety. Overhead services will require Tiger Tails to be attached for the protection of public and workers. 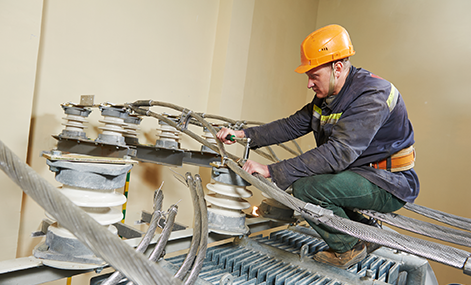 Switchboards/ Temporary Building Services that require moving from private poles to customer premises, being commercial or residential will need a level 2 Electrician to perform these tasks. . 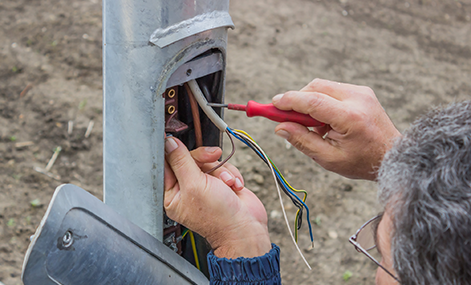 Private or commercial Power Pole Installations or replacement for electricity or lighting will also require the services of an authorised contractor. Ensure your tradesman has all necessary accreditation’s and insurances before performing any Level 2 work. All Electricians at Macquarie Power are guaranteed to have all relevant tickets and insurances. MP services Newcastle, Hunter Valley, Lake Macquarie and the Central Coast. – Main switchboard and electrical smart meter installations/upgrades. You need a suitable accredited person to to connect your home, business or specific structure to the electrical distribution network, to extend lines to your premises or to upgrade your electricity needs ( get more out of the network). Railway Worker Industry Accredited Electrician. MP has all RWI qualifications for electrical maintenance and emergency call outs in NSW. Peter has over 7 years experience working within the rail corridor and comes highly recommended with full level 2 Qualifications. For contact please fill out form or call above number. Macquarie Power provides a wide range of safe and reliable level 2 (ASP) electrical services to the Hunter – Central Coast Regions. You can trust that our skilled qualified electricians will be able to complete your project promptly, safely and within budget everytime. Macquarie Power provides a 24 hr Service to Newcastle, Speers Point, Raymond Terrace, Belmont, Cardiff, Charlestown, Dudley, Kotara, Toronto. All Areas of the Lake Macquarie, Newcastle, Port Stephens and Hunter Valley. Newcastle, Speers Point, Raymond Terrace, Belmont, Cardiff, Charlestown, Dudley, Kotara, Toronto. All Areas of the Lake Macquarie, Newcastle, and Port Stephens Areas.